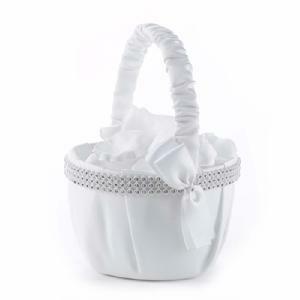 31118 - White satin basket with white satin ribbons and faux rhinestone adornments. 8" tall, 5 1/2 diameter. Petals not included.